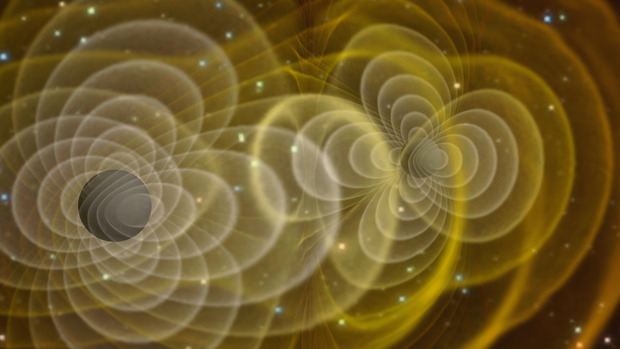 Last day, in my Facebook account, I placed an interesting article in the Physical Review Letters about the detection or improvement of detection of gravitational waves through the LIGO in order to detect the continuity of space time. In itself, the article is very interesting because mathematically, it is known that space time is not equal to dense everywhere. That is, with a very common example, we have all seen images of a cloth to which a weight is put and this sinks. This is the way to explain that the mass deforms space time by generating a force (gravity) that attracts objects to each other, a very simple and easy to understand example. LIGO detected these waves last year from supermassive events, that is, I detected that in that “fabric” you could create gravity waves that would modify the space/time showing that gravity works exactly as expected. Now, it is intended to improve the (already several) detectors to not only measure how the web expands and contracts when it passes in front of the detector (let’s, when a gravitational wave passes) but look for events that have happened a long time or What are called “cuts” in space time or orphan memory. What is this about cuts and orphan memory ?. Although it has a complicated name, it is very simple. If we return to the example of the fabric used to explain gravity we can see not only that the object sinks (so to speak) space time (the fabric) but also we could pull by each of its edges and enlarge “horizontally” The fabric (or shrink). Although gravitational waves are actually this (instead of the subsidence that is explained, but it is an example), the time space on the basis of expanding and contracting it may not remain uniform. That is to say, there are places where this cloth “has given of itself” or even a gravitational wave, like wave that is, can be composed of smaller ones. In the background it is not difficult to understand if we think of the previous example and that gravity is nothing more than a wave. As such it will suffer and have all the known properties of a wave and the element on which the wave travel will suffer and have the same properties as any other material. Currently the idea is to improve the detectors to see these distorsions permanently and for the people of the street, to understand that in their day to day their time is not continuous but varies by events that have left a “scratch” in space time ( Of magnitudes so small that we do not realize our senses, but that they are there) or that simply, like all wave, like a seismic event, when “it passes over us” a gravitational wave we have replicas later.